After decades of fighting with the AMA, and a lot of bad things said about the chiropractic profession, many people are still confused about the status of the chiropractor within the healing arts. Yes, chiropractors are doctors; doctors who specialize in an area of health care that is non-drug and non-surgical. Chiropractors do not prescribe drugs for lack of education, but for lack in interest in duplicating a service that the medical profession provides. What seems to bother some people is the fact that a doctor of chiropractic is educated and practices differently than a doctor of medicine; for them the problem is that the chiropractor is not an MD. But the chiropractor made a choice at the start of his or her career to not be an MD, and for that reason did not study the practice of medicine, but studied the practice of chiropractic, and for that reason chooses to not prescribe medication. This is not a limitation or a sign of deficiency on the part of the chiropractic profession, but the result of a choice. To be a chiropractor requires four years of pre-professional education and four years of professional education. Some medical doctors become chiropractors after receiving the necessary advanced training and education to learn the art of spinal chiropractic manipulation. Chiropractors, optometrists and most psychologists are not licensed to dispense drugs because their training and method of treatment does not go in that direction. It is not a deficiency but a choice of preferred treatment. The educational goal and award of a doctorate degree (PhD, MD, DO, DC, DDS, OD, DVM, DSc, DD, etc.) means you have earned the academic title of “Doctor, ” including the DC (Doctor of Chiropractic) degree; in the state of Illinois where I most recently practiced I was licensed as a Chiropractic Physician under the law. It is necessary to understand what it is that a chiropractor proposes to do with a patient population which is for the most part made up of people who failed under medical care and go to see the chiropractor as a final effort; these are typically fast and easy cases that make up the case load of the average doctor of chiropractic. They attempt to work with the ability of the body to heal and repair when very often that patient is so abused by current medication and past surgery, poor lifestyle choices and the idea that they do not have to do anything to help themselves because the doctor is supposed to “cure” them, that it is a true testimony to the ability of the chiropractic profession and the ability of the body to heal, that anyone gets better at all. The chiropractic doctor under very difficult and limited circumstances attempts to provide corrective and preventative maintenance treatment to a wide variety of conditions that are linked to flaws and deficiency within the human skeleton, especially the spinal structure. This question about chiropractors being real doctors is often a reflection of the fact that there are good chiropractors and bad chiropractors, just as there are good MDs and bad MDs, and good nuns and bad nuns, and good US presidents and bad US presidents. There are in all areas of life those persons of lesser intelligence, ability and integrity, and this includes chiropractors. As in all areas of life these people are in the vast minority, thank goodness. 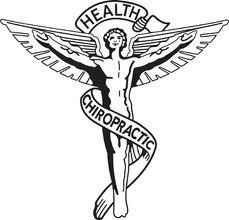 What is necessary is that someone who is interested in using chiropractic care finds the best one available and determines if the chiropractor is really a doctor or not. A chiropractic adjustment is the use of a predetermined and precise light force to a joint to restore normal joint position and function, usually of the spine but other articulations as well, with the overriding intent to also improve the function of other body systems that are anatomically and functionally associated with that joint. A chiropractor will usually adjust manually, with the hands, or use any of special instruments designed for that purpose of delivering a short light dynamic thrusting force into the body. A chiropractic adjustment is made by using a precise predetermined direction, depth and amount of force required to improve a particular structural problem. Chiropractic adjustments have been proven to be safe as millions of adjustments are delivered daily around the globe. When looking for a chiropractor to visit it is always wise to ask your primary care physician for a referral of names of local chiropractors who are skilled, effective and trustworthy in their work. And just as good it is also a good strategy to ask a few people you know about their experience with local chiropractors. From your family, friends, church members and neighbors ask for recommendations; of this group, pick out those who might do strenuous physical work, or the elderly, since they have a higher use of chiropractors. Don’t stop with one inquiry and one recommendation. Everyone has a different definition of a good, and what is important; one person might be motivated more by low price, another by the doctor working on schedule, and another that the office is clean. Above all else, in my opinion, you should be most interested in good treatment results. If several people say the same good or bad thing about a particular chiropractor, chances are that you can rely upon those votes. Before beginning chiropractic care with a new chiropractor it is advisable to conduct a telephone interview or ask for an office consultation to get a first hand impression of the doctor, staff and office, and to learn how the chiropractor conducts his or her practice. While recommendations are valuable, it is also important to find someone you feel comfortable with. Below are samples of questions to ask to get to the heart of the matter when choosing a chiropractor. These questions do not have a right or wrong answer, but only allow a discussion in which information will be provided that can created an impression or understanding about the chiropractor you are interviewing. After two or three such interviews you will have a good idea who you will want to work with. How long is your average office visit? How much do you charge for the average office visit? How many patients do you see in an average day? How much experience do you have in my kind of problem? Which local hospital do you work with? Which chiropractic techniques do you use and why? How many people do you treat and never touch them or apply an adjustment? Do you use a deep, “joint-popping” adjustment or a low-force adjustment? Do you place many patients on a long-term treatment plan? What is the average length of care for your office? Always talk to your doctor before trying an alternative treatment approach, including chiropractic care, and be sure to tell all your doctors about all alternative treatments you are using.